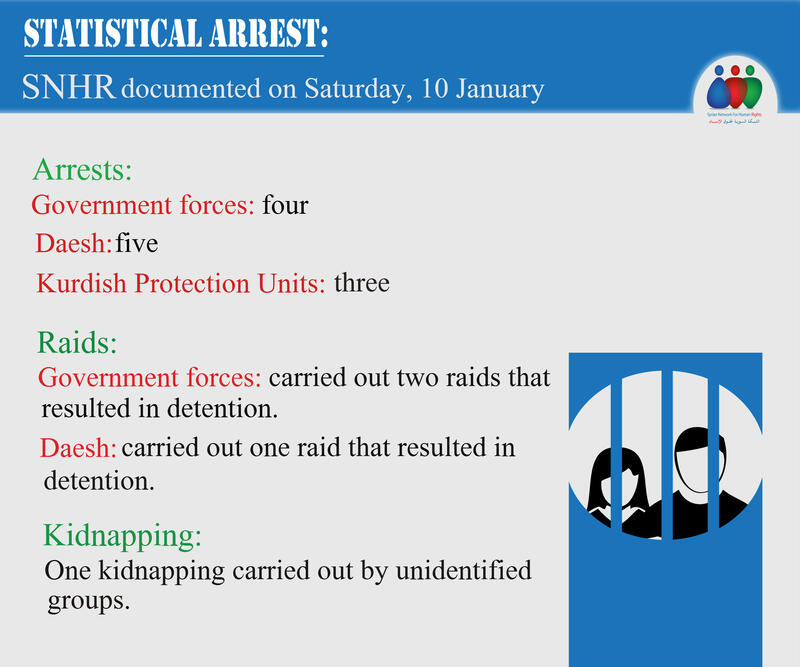 Government forces: carried out two raids that resulted in detention. Daesh: carried out one raid that resulted in detention. One kidnapping carried out by unidentified groups.